Edith Sommer passed away in February 2015. Art was a driving force in her life and she was instrumental in the creation of Gallery House in 1958, an artists’ cooperative still thriving in Palo Alto, CA. 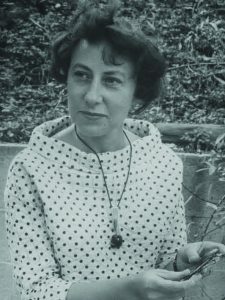 Born and raised in Chicago and educated at the University of Illinois, Sommer and her husband moved to Palo Alto in 1949. Her path as an artist began in the early ’50s, and jewelry was her biggest passion. She took classes and workshops throughout her life, studying with masters of the craft. 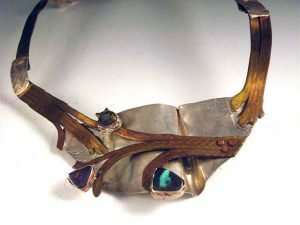 Over the years Sommer added other media to her repertoire, including work with recycled copper she removed from auto radiators, which she fashioned into wearable vests, masks and containers. 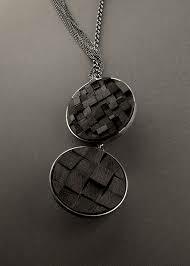 She recently became interested in adding polymer clay to her silver work. Sommer was a long-time SNAG member. Edith Sommer: An Artist’s Retrospective will be on exhibition at Palo Alto Art Center Studio Gallery from June 26-September 6, 2015. Opening reception June 27, 1:00-4:00 p.m. 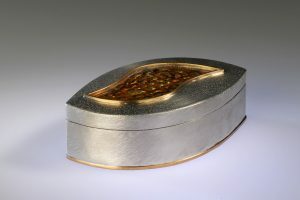 The American Craft Council has invited SNAG to participate in their Artist Invitational Program for their 2016 Baltimore show. This opportunity is open to any current SNAG member. Applications due by July 10th. Ashley Buchanan was a finalist in the 2015 Emerging Voices Awards presented by the American Craft Council. She combines old-school handwork with modern technology, such as powder-coating and digital photography. Seliena Coyle received the Golden Fleece Award for 2015. The Award is an independent artistic prize fund established as a charitable bequest by the late Helen Lillias Mitchell. Coyle will use the Award to undertake an extended period of personal research and development towards a body of new work. 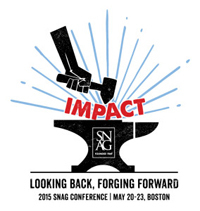 It also helped her to attend the 2015 SNAG conference in Boston from Ireland. Elizabeth Goluch is the focus of a short documentary film “Lady Bug,” released by the Craft Alliance and the Nova Scotia Designer Crafts Council. It is the fifth in a series of films about some of Nova Scotia’s master craftspeople. 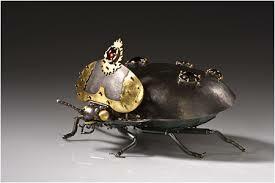 Goluch’s metal insect sculptures can take months to research and fabricate. Using gold, silver, gemstones, and various other materials, she incorporates aspects of an insect’s life into each sculpture’s design. Dr. Mekah Gordon was Art Jewelry’s March 2015 Monthly Design Challenge Winner for her “Air Dancer” pendant/brooch. 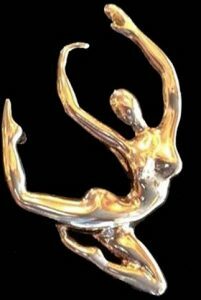 She created this lost wax casting in sterling silver for one of her former high school art students, who became a noted dancer in New York. Kaminer Haislip announced her collaboration with actress Reese Witherspoon’s new Southern inspired lifestyle company Draper James. 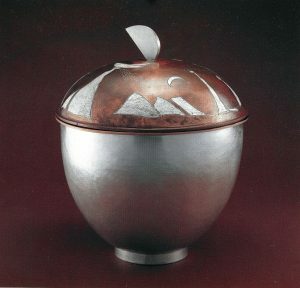 They commissioned her sterling silver Magnolia Bowl for their new online shop. 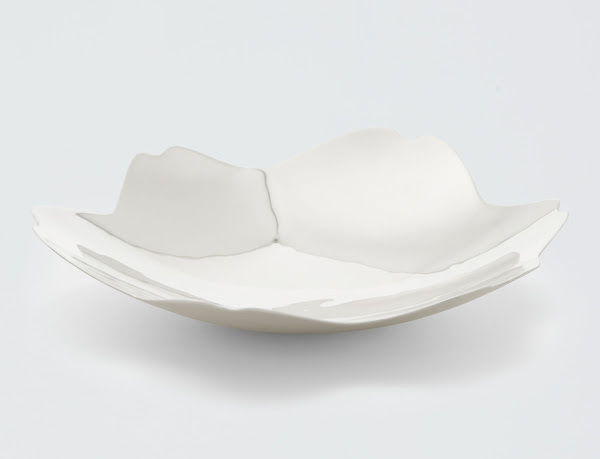 Haislip and the Magnolia Bowl were also included in an article on Draper James in the magazine Women’s Wear Daily. Jera Rose Petal Lodge was featured on “Arts InSight,” a weekly arts program on Houston Public Media. The show’s camera crew set up at Houston Center for Contemporary Craft (HCCC) to film and interview Lodge about her innovative jewelry and metal work. Lodge is a former resident artist of HCCC. 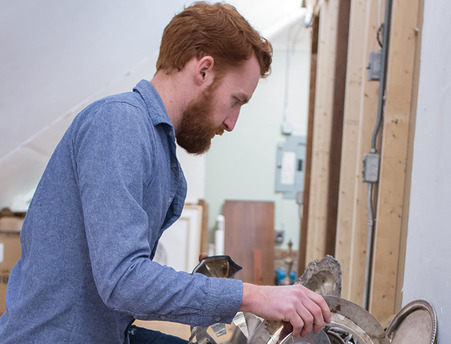 Jaydan Moore was named the 2015 Emerging Artist by the American Craft Council as part of its Emerging Voices Award. Moore’s work ranges from intricately reconstructed platters to prints of their surfaces. The newly established Award is being presented in 2015 and biennially thereafter in recognition and support of the next generation of makers and thinkers in the field of contemporary craft. Komelia Hongja Okim has received her third Fulbright research grant. She will write on Korean Metal Surface Techniques. She will be collecting resources in many parts of the country through museums, crafts centers and antique shops. Her book will cover the techniques, historical backgrounds, and contemporary usages in university teachings and with crafts artisans and fine artists in the metal fields. One of Claudio Pino’s rings was selected for the 2015 Taiwan International Metal Crafts Competition. It is being exhibited at the Gold Museum of Taiwan in Taipei through September 13. Houston Center for Contemporary Craft’s incoming resident artists include Terry Fromm and Younha Jung. With over 80 applications from 22 states and three countries outside the U.S., the 2015-2016 residents represent some of the top craft artists in the field. SNAG would like to take this opportunity to recognize our Corporate Members for their support: Aaron Faber Gallery, Halstead, and Jewelers Mutual Insurance Company. 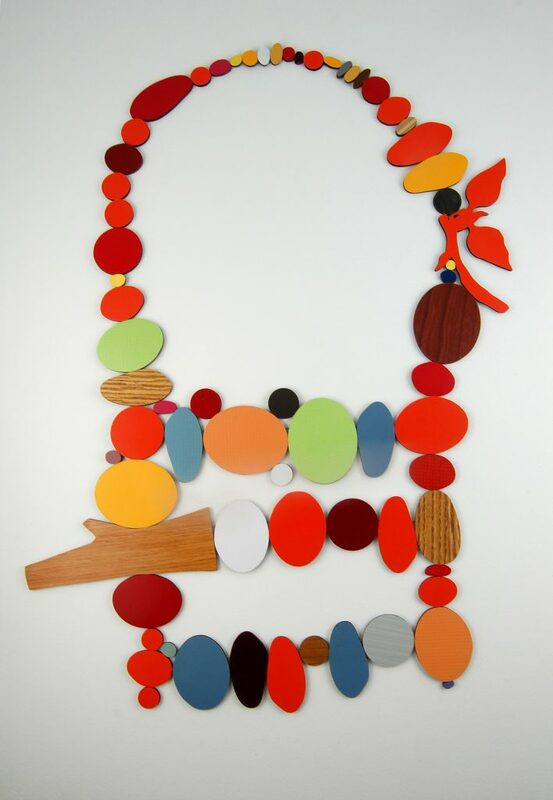 Art Jewelry Forum and Bella Neyman have put together a collection of ’10 Best’ lists from SNAG Boston! Check out the 10 Best Lines Overheard, Top 10 Up and Comers, 10 Best Juxtapositions, and 10 Best Displays. Thank you to AJF for these fun and informative collections!